Nylon pant offers coordinated look with mix and match jackets. 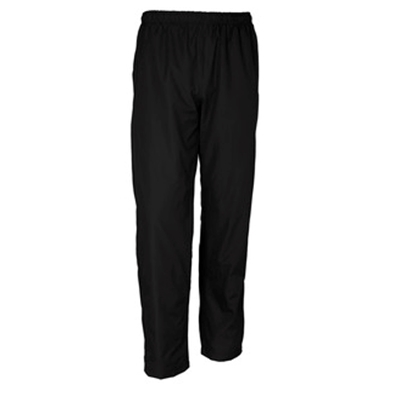 Exceptional value with good attention to comfort and fit through elastic waist and drawstring. Athletes appreciate the extended leg zipper. 100% nylon outer with poly/cotton jersey lining from the knees to waist, nylon lines the lower leg for easy on/off; triple-needle stitching in the waistband with drawstring, extended leg zipper and elastic cuffs, side-seam pockets, back zippered pocket.